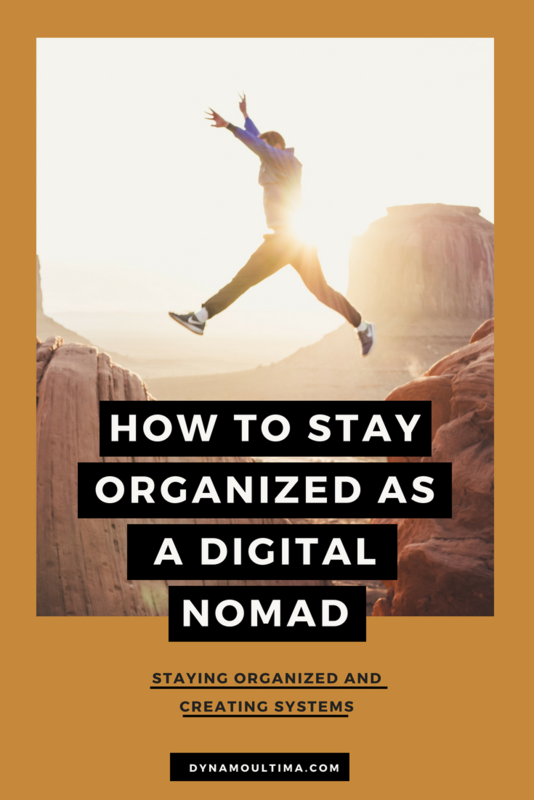 How to Stay Organized as a Digital Nomad — Dynamo Ultima | Branding, websites, workshops & beyond. Because living on the road makes it easy to go with the flow, do whatever you want, and go surfing instead of working, you’re going to have to figure out how to sit down and get things done, how to be productive, and how to stay motivated when you just don’t feel like it. There is no boss — other than yourself — who will tell you what to do, so you have to work on disciplining yourself. You’re going to have to create some systems, stay organized, hold yourself accountable, and try to manage your business’ best asset: you. 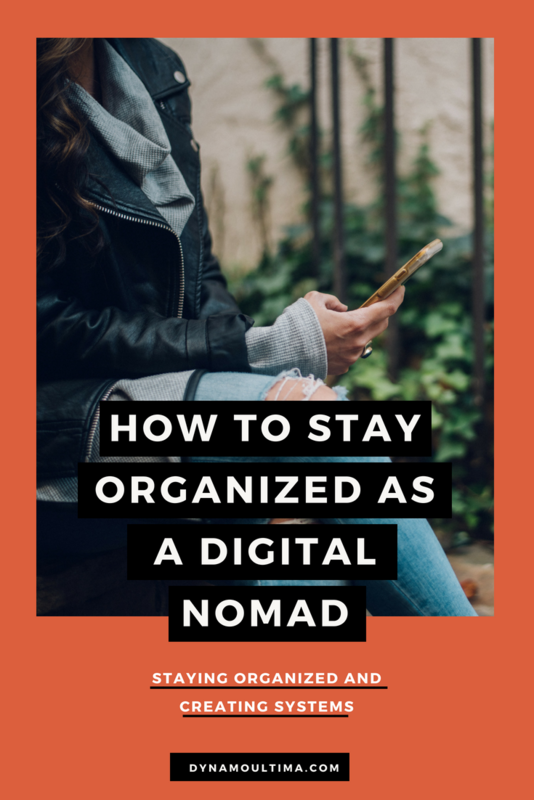 This is crucial for making your nomadic business work while on the road. One of the best ways to make sure you stay productive, hold yourself accountable, and thrive in your business is to stay organized and create systems and routines. This is especially important when you work from wherever because it can be easy to get distracted by your environment and forget about your important tasks and deadlines. If you keep a calendar and schedule all of your meetings, tasks, and deadlines you’ll be able to keep better track of everything when you are wandering throughout the world. We use a few different apps for this and also good old fashioned pen and paper to brainstorm ideas. This is our favorite app because it syncs up with our business email address, which also syncs up with our phones. When someone schedules a phone call with us, it automatically adds it to our calendar, and then we get notifications on our phone as a reminder 30 minutes before a meeting. This is great because sometimes when we are traveling we can be forgetful about what day it is. I think taking the time to schedule your tasks is definitely time well spent when it comes to keeping yourself organized and staying on top of things. Asana is a project management app that I use constantly to keep track of bigger projects. For example, when we write an eBook, I put everything in Asana and map it all out first. I make individual tasks for each step that goes into creating the final product. Asana is also great because it can sync up to your Google Calendar. Trello is another project management app that is a little easier to understand. It’s great for beginners who are just getting started and it’s a great resource for keeping track of your ideas and goals. To stay productive, it’s important to have a plan. If you go to sleep and wake up the next day with NO idea what you need to work on, you will be unproductive. Creating daily or weekly routines in your business can help with your productivity and give you a sense of direction. Scheduling regular batch days is a great routine to get into. For example, on Mondays I spend a couple hours editing photos and writing Instagram captions for each photo, and then I schedule them all into a handy dandy Instagram scheduler called Planoly. I make sure to do this every single Monday so that I can get it taken care of and I don’t have to waste time posting to Instagram or thinking of captions later during the week. You can also do this with blog posts; you’ll write all of your content for the whole month on one day. Focusing on one task at hand will help you get more done and stay more focused. When you’re really unproductive or unmotivated, it can be helpful to try the Pomodoro Method. The Pomodoro Method is some complex thing and there's tons of articles on the internet about it, but I’m going to give you my simple version of it. Choose 1 task, set a timer for 25 minutes, work on that task. When the timer goes off, you can take a break. You can scroll on Instagram or get a snack or a coffee. After your break (which should only take about 10 minutes), start the process over again. It’s that simple. It’s effective because it prevents you from trying to work on multiple different things at once, which usually results in nothing getting done. By doing this, I become more productive by visually laying out how much time everything is going to take me, which helps prevent me from getting overwhelmed by the bigger project. Automation is going to be a game changer for you. If you have automation set up in your business, it will help you save time on things that take forever. You can automate specific tasks that happen often. For example, when someone signs up for your email list, you can set up an automatic welcome message that gets sent out right away. Or if you book a new client, you can send an automated invoice as soon as the client signs the contract. These are small tasks that will make your life easier and save you tons of time down the road. That way, you can focus more on creating stuff and less on managing tasks in your business. Convertkit - You can schedule automated emails to send to your email subscribers. Calendly - People can schedule phone calls with you, and the calls are automatically entered into your Google Calendar. Zapier - An automation tool that connects your different apps to one another. Planoly - An Instagram planner for scheduling your posts. 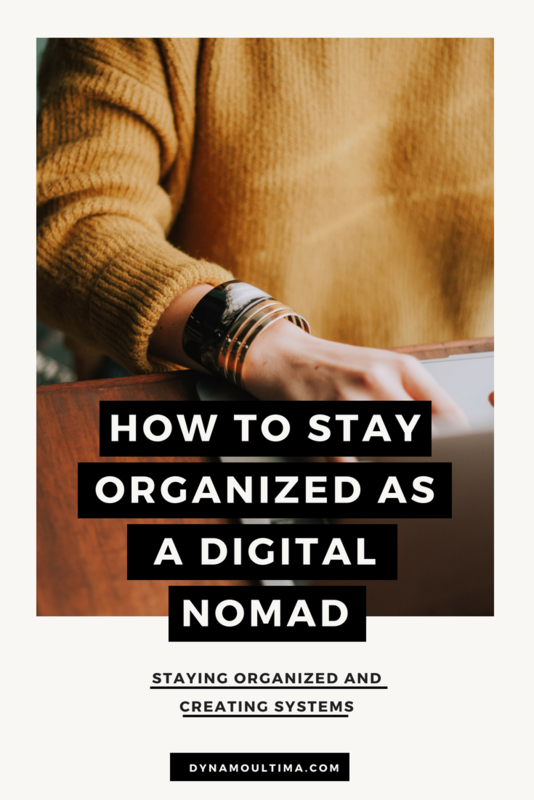 The key to a successful business as a digital nomad is staying organized, creating systems, and automating your tasks! Because you are traveling all the time, doing this will help you stay on track, even while you are out enjoying yourself.